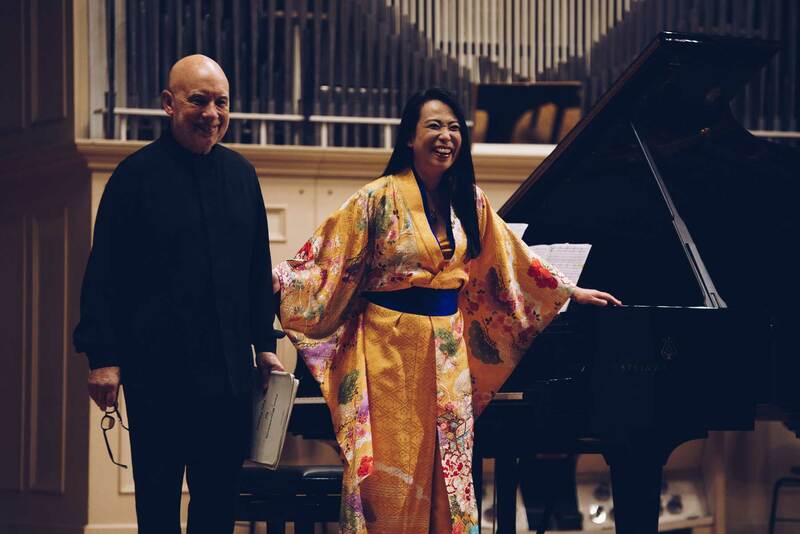 The piano recital by the chief conductor of the Filharmonie Brno Dennis Russell Davies and his wife the pianist Maki Namekawa yesterday in Besední dům offered three works by three significant figures from American minimalism. 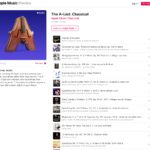 The concert included minimalist works by Steve Reich in the shape of Piano Phase, the composition Hallelujah Junction by John Adams and Four Movements for Two Pianos by Philip Glass. Reich’s piece Piano Phase from 1967 is from what was still the early phase of American minimalism. The introductory motif drawn from a twelve-tone series is first played by one pianist and then by the other, who however after a short while imperceptibly speeds up. This then leads to a “phase shift”, which can also be found in others among Reich’s works. The concept requires an unbroken rhythmic precision from both interpreters, since the uniqueness and complexity of the musical structure arises precisely from this constant shift in both piano lines. 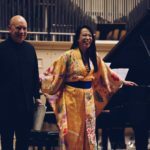 Dennis Russell Davies and his spouse Maki Namekawa have great experience with minimalist compositions and so were able to sustain the constant melodic shifts completely without difficulty. 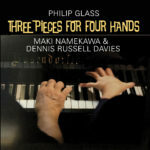 While Reich’s Piano Phase his built on an almost monotonous repetition of short musical motifs, they managed – especially Maki Namekawa – to introduce to the work elements of lyricism and personal expression. Subtle, yet noticeable in the little things, the phrasing supplied the work with a significant new musical dimension. This exceptional concert for the Chief Conductor’s Series very briefly outlined the development of American minimalism from its beginnings to more or less its current shape. However it would be wrong to think that this is the only form of musical minimalism. There also exist other more extreme musical experiments, hidden in the shadow of the better-known faces. 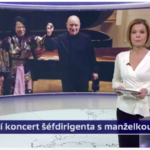 Nevertheless, it is commendable that the Filharmonie Brno under the leadership of new chief conductor has offered this opportunity and enriches the cultural life of the city of Brno also with popular works that are rarely performed locally.